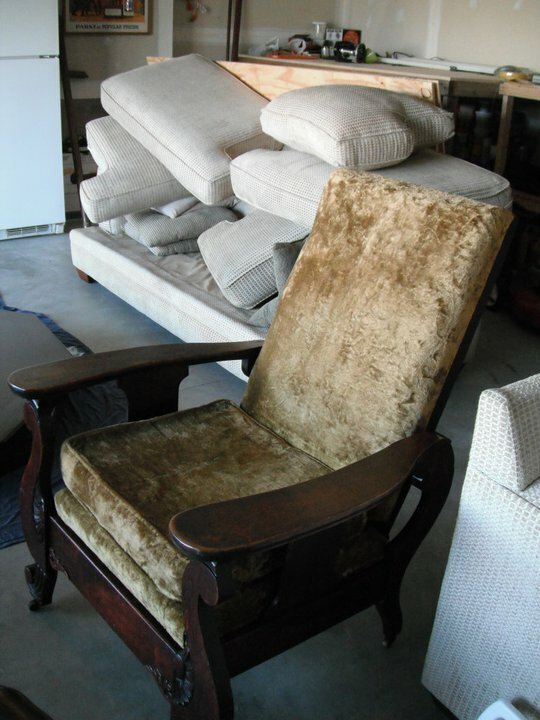 Do you know when America’s FIRST automatic chair was made….I DO? Approximately 1901! AND we have it. This is an awesome piece from our personal collection. Let me show you how this bad boy started….Can you say PUKE green??? This is a mathematical equation people. Have you fallen in love with Dwell Studio Fabric yet? If not, I apologize in advance for your new obsession. SRSLY! 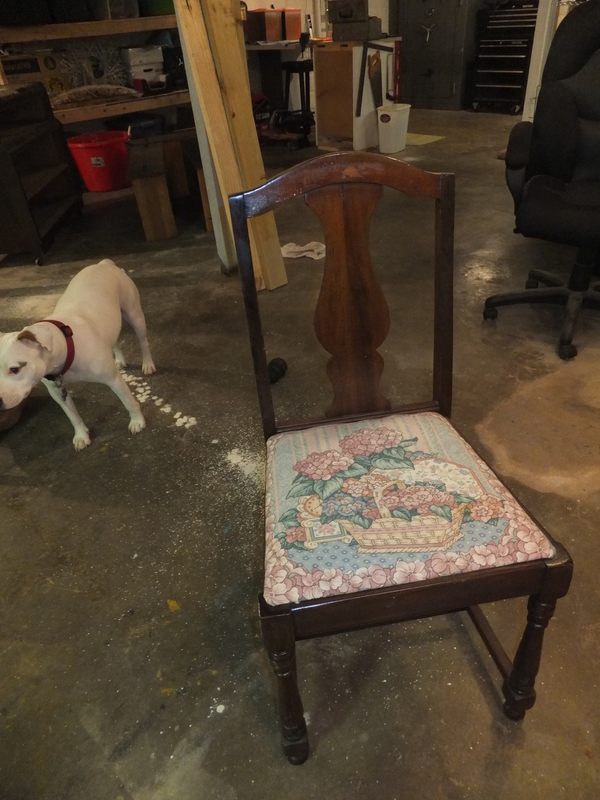 Anyway, This chair was found at a moving sale. 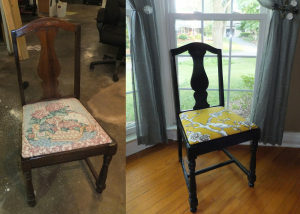 The lady had kept these in her knitting room for years and had tons of chairs with mix matched fabric. She started telling me how I could recover them, I never told her that was my plan all along. We found THESE (cane chair) at an estate sale. I won’t lie. I saw them and ignored them. They weren’t salvageable. Then my husband saw them and if he could see potential then obviously I needed to step up to the challenge. I did A LOT of research and then we tackled them. 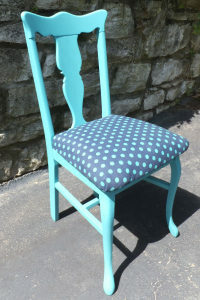 After building a seat where the cane use to be I happened to have (seriously) this polka dot fabric and the exact color paint of the polka dot. 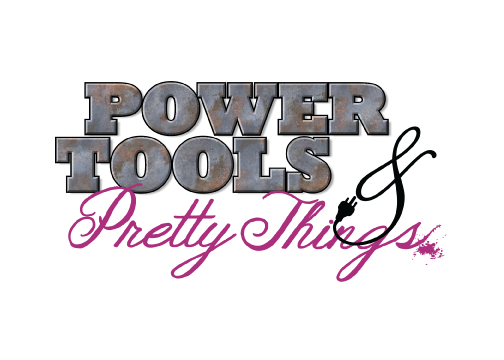 So the design was obvious….